Rajashekar das : I went on sankirtan with Tribhuvanath. We were very close friends in those days. So one day we came back to the Manor and we saw that Srila Prabhupada was sitting on the lawn with only Shyamasundar. We thought that this is a wonderful opportunity to have intimate association with the spiritual master. So we rushed down to the lawns and we went over there and sat down. Prabhupada looked at us, and he seemed to be a little bit disturbed. He kept looking at us and talked a little bit to Shyamasundar, then he was looking again and he didn’t look very happy. Then suddenly he turned to Shyamasundar and he said, “These men have no work? 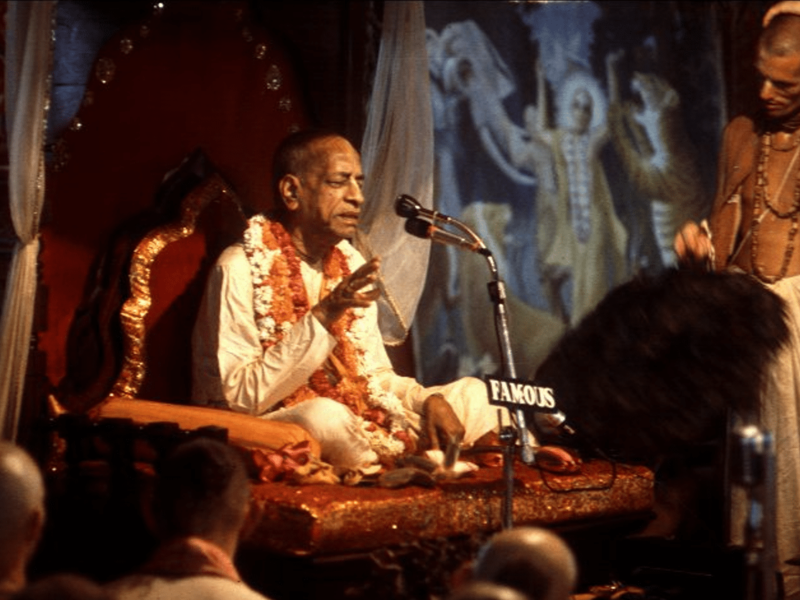 They have nothing to do?” So I thought, “Oh, my goodness.” So I realized also at that time that there are a lot of people who wanted to be seen with Prabhupada or to be with Prabhupada, but this was not very important. And during the course of my time there, I was taking his slippers and giving him his cane and every morning taking him down to class and bringing him back but I never said anything except, “Jaya Srila Prabhupada.” I didn’t feel that I wanted to impose upon him. "Even we find gold in a dirty place, we take it." Srila Prabhupada encouraged me, and he could understand I was becoming a devotee gradually. The song was "Krishna, where are You?"